Are you starting a new blog from scratch? Do you already have a website? Looking for the best SEO ebooks? Are you struggling to rank on Google? Thinking about the last “Google update”? You landed on the right place! If you need to know the answers to those questions, this SEO eBook is what you need in order to boost your business online! You Should Get This SEO Ebook: Why? Because following the “Top 100 SEO Tips” by Marketing Predictor Blog, your webpages will be in the first page on Google. Following step by step you will be able to Implement some organic marketing tips: improve your visibility and authority in your market/niche now: years of experience in just one SEO eBook written by Francesco Mercuri, our Marketing Predictor CEO with years of experience in Marketing, Growth Hacking and Coding. What do you get? 100 SEO tips to react immediately after Florida 2 Google Update, useful to develop a website from scratch as well. either optimizing a website already online. Benefit: What Are You Going to Have? 100 cleat steps to make included in a checklist, sorted by bullet points: from the 1st, picking a Unique Domain Name, to the 100th that will allow your website/blog to rank in the first Google page for your niche keywords, starting from keywords with a good volume of traffic. We got those results just following the list we made in the “TOP 100 SEO TIPS”! There is no secret, it’s just the only eBook SEO 2019! The author of the book follows a marketing a technical approach, based on his background, experience, and a “Google update” concept: SEO is part of Inbound Marketing, it brings nowhere without merging the marketing and consumer behavior approach, with the technical SEO approach. Be 100 steps ahead of your competitors! The first Marketing Predictor eBook: marketing and coding pieces of knowledge easy to understand in order to rank on Google! For you, for beginners and experts! No one is excluded! Any questions? Contact Us. You will not alone! We will assist you in every step. Don’t you like it? 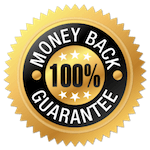 100% money back! We believe in our eBook and in our daily hard work, we helped several users to get the best result on SEO. It’s your turn now! Buy this strategical eBook SEO 2019! Reading this eBook, you will experience a marketing SEO approach to developing an SEO plan. Bring your focus keywords to the first page of Google! We cannot guarantee the first position on Google Search, it depends on keywords you want to rank for and on competition of your niche. Are you a small business? Or a marketer? You need an SEO plan, following our 100 SEO tips, in order to have a fast growth in terms of organic traffic and leads, you can accomplish your short term goals. You will have a lead generation boost coming from our stunning tips. Be competitive, enter in the game, taking advantage by translating the marketing SEO planning process outlined in the TOP 100 SEO TIPS eBook into a streamlined 100 bullets point able to implement your strategy and help to avoid mistakes that can penalize your business. 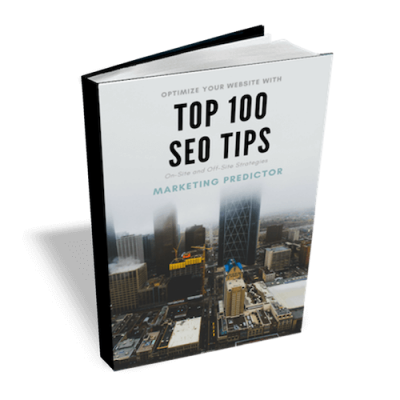 The Top 100 SEO TIPS eBook can benefit beginners and managers in all types of business in 2019. Google updates are changing the SEO approach constantly: be ready with this eBook. Who should buy this eBook? It’s ideal for startups, marketers, and companies considering introducing a new website/blog to the web starting from the decision of the domain name, either optimizing a website/blog already online with a few organic visitors. That is the purpose of this eBook: helping you out implementing an SEO process for developing a website and a blog to grow organically, making in place the best on-site and off-site SEO strategies in 2019.